Binez Hotel Limited is ideally located in the commercial city of Aba, the gateway to Akwa Ibom and Cross Rivers State. Since its establishment in 1979, it has been known as the hotel with a homely touch, with the opening in of the new Binez Hotel in 1996, we have been the leading hotel in Aba and itâ€™s environ. With its elegance, ambiance, combined with its modern facilities it is second to none. The 82 guest rooms are categorised into seven ranging from standard rooms to ambassadorial suites. 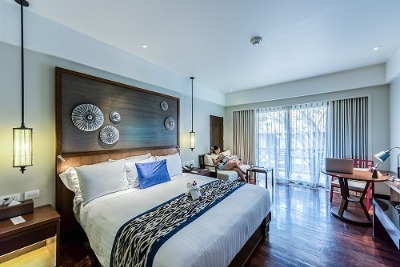 All Suites / Rooms are exquisitely and uniquely furnished with self control temperature, intercom and direct telephone access, refrigerator, flat screen TV and much more. The onsite restaurant boasts of the best chefs around the globe, our multi-purpose auditorium and banquet hall can seat over 1500 persons and be rest assured that the conference or meeting is already a success. The Hotel is serviced by 375 KVA and 600 KVA power generating sets, hence you are assured of constant power supply round the clock. Binez Hotel is within a walking distance to Aba Sports Club to which it is affiliated. The club provides for out-door / indoor games with floodlit Lawn Tennis Courts, Squash Courts, Table Tennis, Standard Swimming Pool, Golf Course, Billiard and Snooker Rooms etc. Binez Hotels is an affordable hotel in Aba, Abia. Have nice pictures of Binez Hotels ?